More Laptops Available to Check Out! 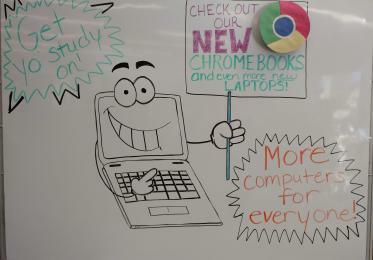 Your Library has added 20 more laptops for a total of 34 now available to borrow! No computer stations available in the Library? Check out a laptop to get your work done! Need to take a laptop to class? Borrow one for up to 4 hours! Laptops include the same software found on any Library computers and allow wireless printing to printers throughout the building. Thank you to those who donated to the Humboldt Loyalty Fund and enabled these purchases to help students be successful!